From the Hindu epic, the Ramayana, the monkey god, Hanuman is seen escaping a firey trap to save the princess, Sita from her kidnapper. 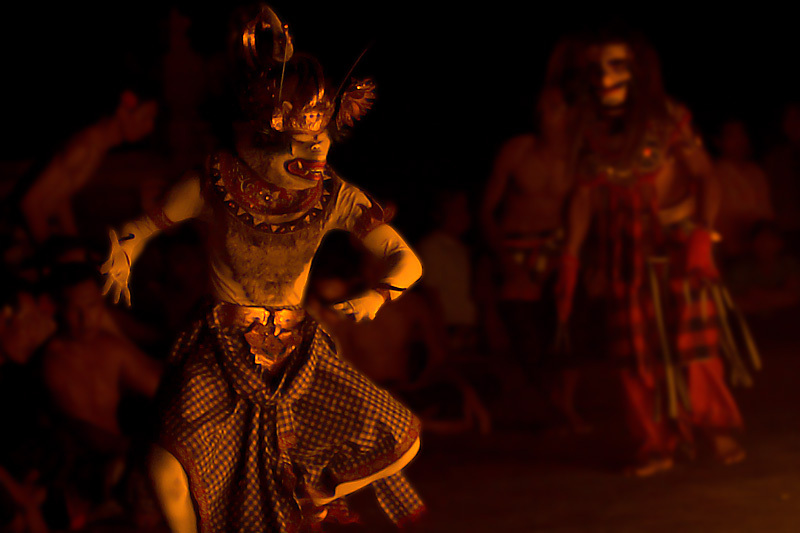 The Ramayana epic and accompanying Kecak dance is performed nightly at the Uluwatu temple in Bali. The venue is set atop sheer cliffs and makes for some incredible images particularly as the sun sets behind the performers while the show progresses.